SCOTTSDALE, AZ--(Marketwire - Feb 21, 2013) - TASER International, Inc. (NASDAQ: TASR), today announced that it will host an Analyst Day on Tuesday, March 12, 2013 from 10:00 a.m. to 1:00 p.m. ET at the NASDAQ Marketplace in New York, NY. The Company will discuss its investment thesis, its business model and its vision for the future at the event. There will also be demonstrations of the Company's TASER® X26P™ Conducted Electrical Weapon (CEW), X2 CEW and AXON Flex™ on-officer cameras. Space for the event is limited and, therefore, attendance is by invitation only. Financial analysts, institutional investors and industry analysts interested in attending the event in person are encouraged to contact TASER International Investor Relations by March 1, 2013 for registration information by emailing IR@TASER.com. A webcast of the event will be available live on the Investor Relations section of the Company's website at http://investor.taser.com and for 180 days thereafter. TASER International, Inc. (NASDAQ: TASR) is a global provider of safety technologies that protect life and prevent conflict. More than 16,575 public safety agencies in 107 countries rely on TASER® electronic control devices and AXON on-officer camera systems to help protect and serve. Today, the use of TASER ECDs has saved more than 100,000 lives from potential death or serious injury while TASER innovations benefit individuals and families too, providing personal protection and accountability while maintaining regard for life. Since 1994, more than 255,000 individuals have relied on TASER technology as a means for effective personal safety. Learn more about TASER International and its solutions at www.TASER.com and www.EVIDENCE.com or by calling (800) 978-2737. Be a part of the TASER community by joining us on Facebook, LinkedIn, Twitter, and YouTube. TASER® is a registered trademark of TASER International, Inc., registered in the U.S. All rights reserved. TASER logo, AXON, AXON Flex, X26P, and X2 are trademarks of TASER International, Inc.
For investor relations information please contact Erin Curtis by phone at 480-515-6330 or via email at IR@TASER.com, or Dan Behrendt, Chief Financial Officer of TASER International, Inc., 480-905-2002. 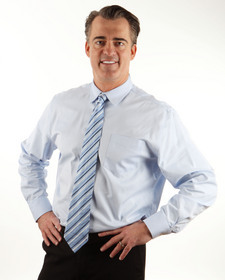 Rick Smith, TASER CEO & co-founder.